Dr Diana Cassell is Clinical Director at the South London Partnership, CAMHS programme having worked as a child psychiatrist since 1987. She became a consultant in 1987 in a community tier 3 team and currently her clinical sessions are in CAMHS Neurodevelopmental Disorders. She has held additional management roles with South West London and St George’s since 2007, and is Clinical Director for CAMHS at the trust. 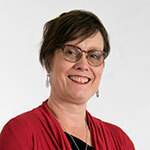 Throughout her career Diana has championed and raised the needs of young people, and has developed effective local services; recently including providing mental health input to the development of Child Sexual abuse services, and roles for the NHS England CAMHS Tier 4 Clinical Reference Group.